It will be Lincoln's last full weekend of home games at the IceBox this Friday-Saturday when the Stars host the NTDP U-18 squad in back-to-back contests. If you're unable to attend either of the two games this weekend at the IceBox, you can follow the boxscores online via Pointstreak, listen to Stars radio announcer Mike Melbye on 93.7 FM "The Ticket," or watch the games live on FASTHockey for a fee. The Stars enter this weekend with a record of 16-30-5 (37 points) and are in last place in the USHL western conference. Lincoln is 3-9-0 in their last 12 games played. The Stars' current winning percentage of .363% is last in the USHL. Click here to view the current league standings. 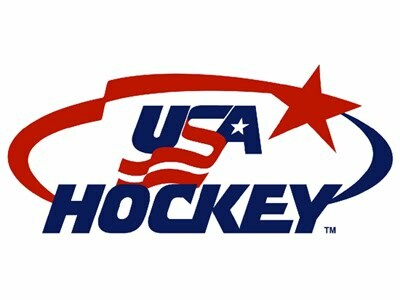 Lincoln's only opponent this weekend, the USA Hockey National Team Development Program (NTDP), are in eighth place in the nine-team USHL eastern conference with a record of 21-25-2 (44 points). This will be only two times the Stars and the NTDP will face one another in the 2014-15 regular season. Way back in early September at the 2014 USHL Atlantic Challenge preseason tournament in East Meadow, NY, the NTDP U-18 team beat the Stars by a score of 4-1. Click here to view the Pointstreak boxscore from that game. The U-18's outshot Lincoln 55-25 in route to the 4-1 exhibition win. The casual USHL/Stars fan might not know this, but the NTDP, which competes in the USHL, consists of two teams (U-17's and U-18's). The Stars will play the U-18 team on Friday and Saturday evening. This is not to say that the U-17 squad isn't talented, because they are, but the U-18 team is the cream of the crop of the NTDP. This particular team plays both USHL and collegiate teams throughout the season. In fact, in 21 games against USHL foes this regular season, the U-18's are 16-4-1. A few of the collegiate teams the U-18's have beaten this season have been Miami (OH) University, the University of Wisconsin, University of Alabama-Huntsville (twice), and the University of Minnesota. The U-18's are 7-1-1 in their last nine games against USHL foes, and in those nine contests they outscored the competition 50-23. Two players on the current U-18 squad have ties to the Lincoln Stars. USA forward Michael Floodstrand was selected by the Stars in the 2013 Futures draft, however he is no longer protected by the team. USA forward Troy Terry was selected by Lincoln in the Indiana Ice dispersal draft this past May, and if he were to play in the USHL next season, it would be in Lincoln. However, everything I've heard is that Terry will attend Denver University this fall. Tough break for the Stars. Click here to read more about Troy Terry and how the NTDP was allowed to poach him from the Stars last summer. Leading the way on offense for the U-18's is forward Auston Matthews. The Scottsdale, AZ native has racked up 38 points (15g, 23a) in 20 games this season against USHL competition for the U-18's. Many hockey pundits and scouts think that Matthews could be the #1 pick in the 2016 NHL entry draft. Matthews is undecided on a college. He could decide to go the major junior route after this season with the NTDP. One thing the NTDP is good at is grooming players for major junior hockey (heavy dose of sarcasm there). Needless to say, these upcoming games will be very, very tough test for the Lincoln Stars. They'll have to play some of their best hockey of the season to keep up with the U-18's. Quite a few kids on the U-18 roster will be first round NHL draft picks this spring or in 2016. Having said that, the U-18's put on their skates the same way the Stars do. They aren't supernatural, and they can be beat. Last season, the Stars went up to Ann Arbor, MI and beat the U-18's in their own rink by a score of 2-1 in OT. Win or lose, Stars fans should see the some incredible skill on display this weekend at the IceBox. wow, i will try to stay cordial but i've been a Stars season ticket holder for a number of years now and it's not very often that i've been at a loss for words. i think a change is needed ASAP in the coaching staff. to give up 11 goals at home at this point in the season is insane. i've never seen that kind of a score at the Ice Box, in fact i'm almost certain they've never given up a double digit number of goals at home. I can't see any progress in special teams or fundamentals like a simple breakout. Furthermore, what purpose was served hanging 11 goals on Hackett? The young man has been the MVP of this team all season. All Hartsburg proved was his lack of coaching ability and sensibility. In his frustration with his team's inability, he takes it out on his most consistent player. I think he and Hull have to go. I hope Ryan reads these comments. Its his team, and maybe if we stop attending the games, he will take some action. Having gone to games since year 3 of the Stars, Friday and Saturday nights games were, well, all I could do is laugh at the end. I know these are the best 18 year old players in the country. But Friday when you can not touch the pouch for 60 seconds on a delayed call, when you have zero forecheck, play the trap, etc etc etc. How can it be like this game 50 plus into the year? Jimmy didn't have this insane of outcomes back to beck at home. And the fans screamed for his head. And I was no Jimmy supporter. I know this is a young team. I know it's Hart's first year, and John's. But maybe they needed their first years in their respective positions in a lower league. Maybe the NAHL, or elsewhere. There are some talented kids on this team. But somewhere along the line you have to have an effective system, offense and defense, special teams. And they don't. I see very little on game adjustment. I see very little on game coaching. It's like watching a Bo Pelini blow out loss. And to hear him of the radio with Melby afterwards, your reasoning doesn't cut it. I feel sorry for these kids. I stayed til the end of the game. But how can I look forward to the last two home games after this.